Choose Your Traveling Tour And Destination. Young Woman Standing Near Tour Panels And Choosing Traveling Between Europe, America, Asia. 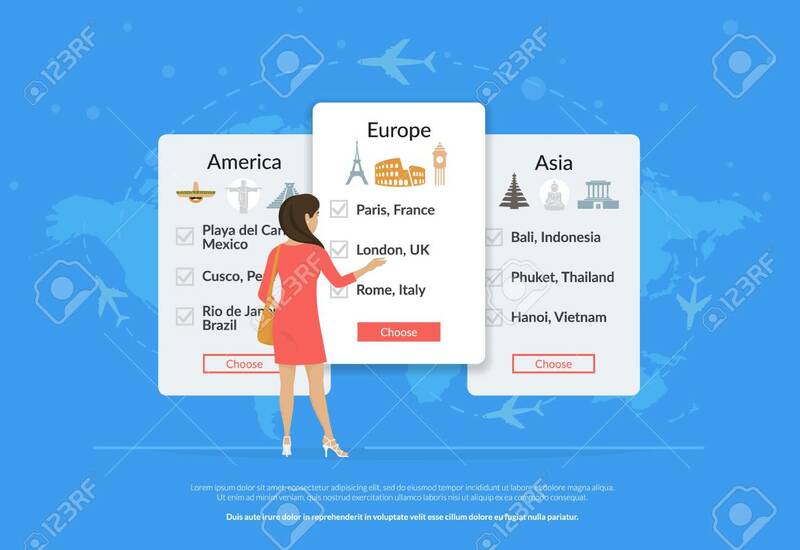 Flat Vector Illustration Of People Who Have A Choice Of Tourism Lizenzfrei Nutzbare Vektorgrafiken, Clip Arts, Illustrationen. Image 102559809.